April was a good month for ETF investors, particularly those invested in international funds. Local equities recouped most of the losses incurred in March as the all share index gained 5.4% month-on-month (m-o-m) and the top 40 index, the most widely tracked index by local ETFs, gained 5.76%. The resources ETFs were among the biggest gainers: Satrix Resi 10 and the S&P Givi Resi returned above 8%. Small caps were largely flat, losing 0.33%. However, most ETFs have no exposure to small caps. Data from China’s National Bureau of Statistics showed the country is enjoying a good start to the year. Its first quarter GDP growth remained stable at 6.8% year-on-year. Domestic consumption accounted for 78% of the economy’s growth in the first quarter against 31% for investment and 9% for net exports. Locally, the focus was on data released by StatSA and the Bureau of Economic Research. The Absa purchasing managers index (PMI) – which is generally regarded as an indicator of the economic health of the manufacturing sector – disappointed in March by falling to 46.9 points from 50.8 in February. This suggest that the manufacturing sector may have come under renewed pressure. 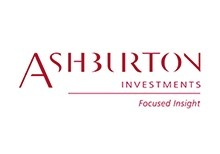 Ashburton Global 1200 (developed markets pick) is another young fund, less than six months old. The ETF returned 6.15% during April, buoyed by strong performances from the UK and Europe. Our choice for Satrix MSCI Emerging Markets (developing markets pick) is motivated by its diversification. The fund provides exposure to high-growth economies such as China and India, which are not included in any of the developed market funds, thus offering further diversification. Satrix SA Quality remains our choice for this segment despite a subdued performance over the past two months. The ETF gained a measly 1.51% during April, but that leaves its six-month return at a comfortable 19.75%. NewFunds TRACI 3 Month - (short term pick) it is similar to earning interest on your cash at the bank with a minimal possibility of capital loss. Its return was 0.6% in April. Satrix ILBI ETF - (long term pick) for a longer investment horizon, protecting your investment against inflation is paramount. Less than a year old, it promises to have the lowest expense ratio of 0.22% compared with peers. It lost 2.72% during April in line with other bond ETFs. Satrix Dividend Plus and CoreShares S&P South Africa Dividend Aristocrats come to mind here, but similarly, property funds are high dividend payers. 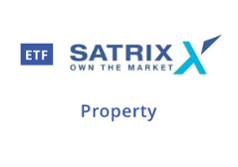 We maintain our choice of the capped fund Satrix Property ETF. The fund has an expected TER of 0.30%, which makes it the cheapest in the segment. The property sector has fallen on hard times lately but we believe that is transitory. The Satrix Propaerty fund made a marginal return of 6.88% in March. these two ETFs combine equities and bonds to produce a diversified portfolio for two investor archetypes. Smart beta, also called alternative beta, is the fastest-growing category in the investment industry. A study by the Financial Times (Mooney Attracta, 2017) found that that assets under management (AUM) in smart beta funds grew 30% a year between 2012 and 2017. While the segment is still at an early stage locally, we expect it to gain traction in line with global trends. Now, only Absa’s NewFunds, CoreShares and Satrix have smart beta ETF offerings. However, with the launch of eight new smart beta indices by the JSE in August last year we expect to see more fund managers launching ETF funds to track these indices.